Norman Strang passed away on October 7, 2003. 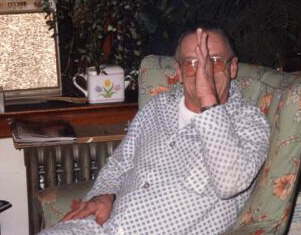 His wife, Kathryn, passed away in 2000. He is survived by two sons and four daughters. 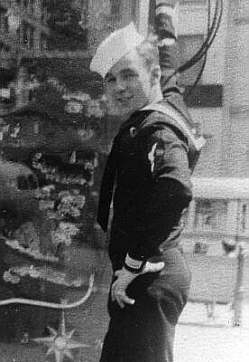 Norm went into the Navy in 1943 and served on the USS Charr from 44 to 46. Don Gentry: Norm and I go back several years (as I write this in October of 2003). I never met Norm but we exchanged emails over the years and I gained a tremendous respect for him. The news of his departure met me with a sting that I won't soon forget. It was unexpected and I instantly wanted to ask him a thousands questions that will now go un-answered. I'll miss you Norm... rest your oar my friend... I'll take your next watch. Patrick Householder: God bless and keep your soul safe and well. Thank you for your service. Jim "Red" Lawton: Salor rest your oar. And may I say thank your for your service to your country. Larry Smith: Rest in Peace, Shipmate. Thank You for Your Service. Ron Martini: To one of the first guys on the BBS and a long time friend... so long partner. Ramon Samson via email: Norm is a dear friend of mine, although I have never shook his hand, given him a hug, or shared a cold one. My first email from him was sometime in 1997, shortly after placing the USS Charr page on it's web site. He explained that he was a Plankowner of Charr and sent me several pictures that are posted on the website. He gave me a history of the original Charr patch, and how the naked lady received her bathing suit. We shared many emails over the years and talked several times on the phone. In fact... I was pretty sure we would get to meet each other at the Charr reunion in November. He has a sister that lives in San Diego and would be staying with her. His passing is a shock to me. He never indicated there was a problem. I think that was Norms way. He didn't want to trouble anyone. I miss him. Now... I look foreward to seeing him in Act II. The generous winds of the eternal dawn. Thanks to Ramon Samson for advising the submarine community of Norm's passing. Thanks to Norm's daughter Linda who sent the 3 photos of Norm at the end of May, 2004.